Fiberglass material tolerates the heat and cold which resists swelling, rotting, and warping. This makes fiberglass windows durable and low-maintenance. Ultra™ Series windows and patio doors have fiberglass frames inside and out with 7 exterior colors available. Each exterior color can be paired with a white interior finish. 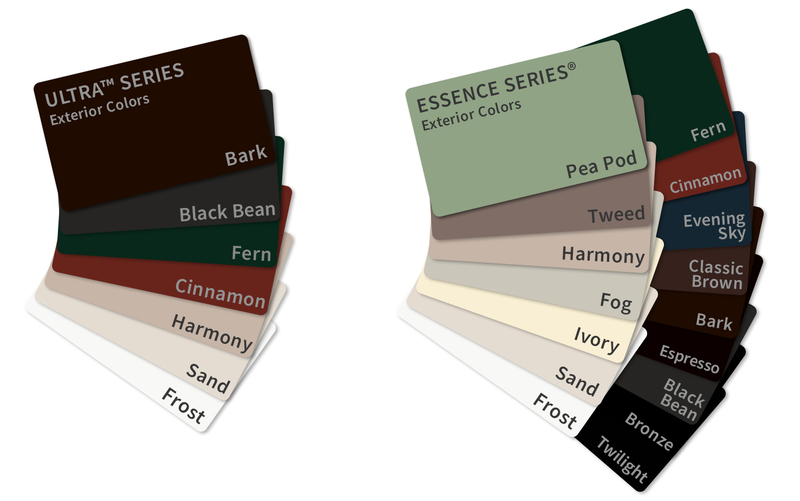 However, if you want both the interior and exterior colors to match, select Frost, Harmony, Bark or Black Bean. Essence Series® windows and patio doors use fiberglass on the exterior and are paired with a beautiful wooden interior. 16 exterior colors are available in Essence Series and you can choose from three interior wood options: Douglas fir, pine or primed pine. You can stain or paint the interior wood to match any color you prefer. Milgard will only put our name on a window if it can live up to our standards. Every Milgard fiberglass frame is tested for color uniformity, gloss, film thickness and chemical resistance for quality and long-lasting performance. In the Essence Series, we apply the paint using the latest advances in powder coat finishing technology, which is also used in aerospace and automotive applications. This makes it more durable than conventional finishes, providing increased protection against fading, chipping and scrapes. Ultra Series uses a powder coat finish on Harmony, Bark and Black Bean when the exterior and interior are the same color. Otherwise, they are painted with a wet coat application. Both Essence Series and Ultra Series offers a wide variety of grid types, patterns, and combinations. 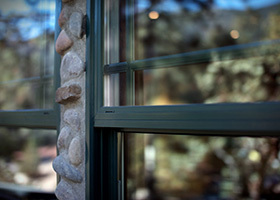 The grids you choose will match the exterior fiberglass frame color of your windows. At Milgard, we stand behind every window and patio door we build, and designer exterior fiberglass finishes are no exception. We are one of the only manufacturers to offer a Full Lifetime Warranty (for residential application;10-year for commercial applications) on fiberglass finishes. Beautiful to look at with little upkeep required, Ultra™ Series fiberglass windows are built to last. A solid wood interior paired with a durable fiberglass exterior frame. 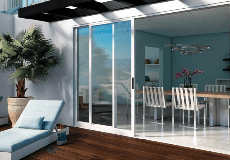 Essence Series® patio doors combine the durability of a fiberglass exterior with the beauty of a wood interior.